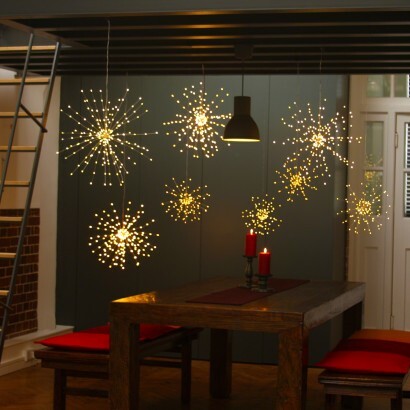 Create beautiful, dramatic light effects that burst into life; Starburst silver hanging lights make a stylish lighting feature both indoors and outdoors! 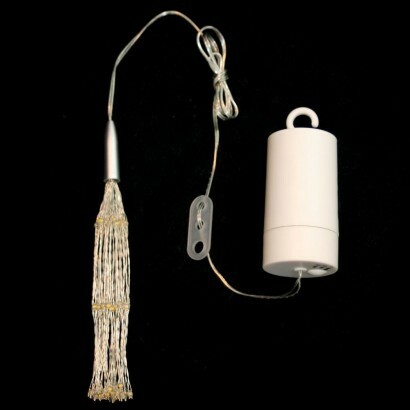 Made with silver poseable wire set into a silver end cap, 160 warm white LEDs are placed along the poseable wire strands and appear to hang freely in the air when lit in a dramatic explosion effect! 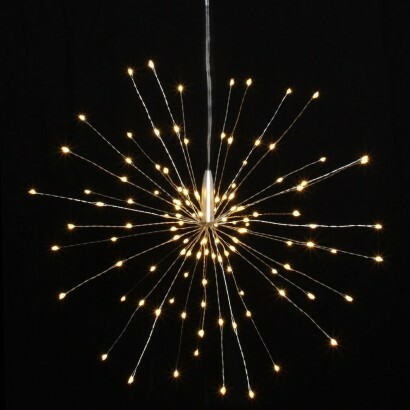 Beautiful as a stand alone light and magical as part of a cluster, each Silver Starburst light has a large 50cm diameter, and battery operated with an IP44 rated sealed battery pack, Starburst can be placed anywhere in your home or garden for enchanting lighting that will mesmerise all year round.